With the powerful design validation tools in SolidWorks®, you can easily subject your designs to the same conditions that they'll experience in the real world. Raise the quality of your products while you reduce costs for live prototypes and testing. Tolerance Stack-up Validation. TolAnalyst analyzes a design based on the order and manner in which parts are assembled, as well as DimXpert-applied dimensions and tolerances. Assembly Simulation. Study the interactions of assembly components on-screen, before incurring the costs of physical prototypes. Simulate static or dynamic loads to evaluate your design’s performance under stress, strain, and displacement. Mechanism Simulation. Apply a wide variety of physics-based models to simulate real-world operating conditions for your design. Check for colliding parts. Output numerical and graphic data of the results, as well as animations of your tests. Simulate Welded Structures. Ensure your welded structures perform at peak operating conditions. Apply pressure, forces, and bearing loads. Then use visualization tools like section plots, ISO clipping, and animation to review the response. With SolidWorks® Simulation Professional, you can accurately simulate real-world operating conditions, reducing the time and costs associated with building and testing prototypes. 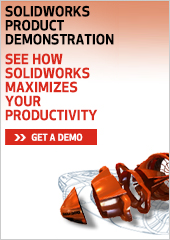 Fully integrated with SolidWorks CAD software, SolidWorks Simulation Professional helps ensure that your designs can be accurately and cost-efficiently manufactured by finding design errors on-screen–instead of on the production floor. SolidWorks® Flow Simulation is the first and easiest fluid-flow simulation and thermal analysis program fully embedded within SolidWorks software. SolidWorks Flow Simulation eliminates the need to modify your design for a different computational fluid dynamics (CFD) application saving considerable time and cost. With its CFD analysis capabilities, you can simulate liquid and gas flow in real world conditions, run “what if” scenarios, and quickly analyze the effects of fluid flow, heat transfer, and related forces on immersed or surrounding components. Fluids of interest for analysis range from air, water, liquid chemicals, and gases to juice, ice cream, honey, plastic melts, toothpaste, blood, and others. Copyrights 2010. All rights reserved.